That was more than 30 years ago. Now, having dissected and conducted CT scans on mummies from all over the world — some ancient and some just two or three centuries old — Zimmerman, 75, has begun drawing conclusions about health and disease in past eras. His work and that of other so-called paleopathologists is starting to challenge assumptions about which diseases are caused by modern lifestyles and which are as ancient as the pharaohs. Zimmerman originally envisioned a more traditional medical career, but his plans changed in 1969, when he was working at what was then called the Walter Reed Army Medical Center. There, he met a medical student who had a passion for mummies. The student had once tried to dissect what he had been told was a 3,000-year-old mummy from Egypt. It turned out to be a fake. “There was an 1898 copy of the Milwaukee Journal stuffed inside,” Zimmerman said. The medical student never solved the mystery of who created the phony mummy, but he did manage to acquire a real one, this time from the Smithsonian, and he asked Zimmerman to lead the autopsy. This one was the real deal. It had come from the Aleutian Islands and dated back 200 to 300 years. It was customary during that period for the Aleut people to mummify the dead by putting them in caves with vents of hot gas that naturally desiccated them. Getting rid of the water inhibits the growth of bacteria that cause bodies to decay, he said. When you autopsy a fresh body, the color and hardness of tissues give information on disease, but in this case everything was brown and hard. So Zimmerman cut out the organs and made thin sections from them, rehydrated them and examined them under a microscope. The body, he said, was that of a middle-aged man. Zimmerman could see that a lobe in one of the lungs had been infected with bacteria. He had died of Klebsiella pneumonia, a disease that today can strike street people and alcoholics exposed to cold, and there were abscesses in the kidneys and heart as well — the man’s bacterial killer had been mummified along with him. Zimmerman was intrigued, realizing that mummies held an untapped wealth of information about the evolution of human disease and human history. He decided to get a doctorate in anthropology so he could be the person called in to examine mummies everywhere. It took 10 years to get there, he said, but it worked. Now, while officially linked to Villanova University near Philadelphia, he has traveled the world to examine mummies at the request of museums, university professors and legal authorities. When an old-looking preserved body turns up, there is almost always a mystery to solve, he said: Who was this person, and what caused his death? In 1979, Zimmerman took part in an expedition to Egypt, where he examined the mummified body of a 6-year-old child dating back to 1300 B.C. By staining samples of its lung tissue, he found the pathogen that causes tuberculosis, thus establishing the oldest known case of the disease. The only previous evidence of TB dating back that far had come from artwork depicting figures with bone deformities characteristic of the disease. In 1991, the head of the anthropology department at Austria’s University of Innsbruck called him after a 5,300-year-old frozen body, “Otzi the Iceman,” was found in the nearby mountains, preserved by ice and snow. But he missed his chance to examine the body when scientists realized that Otzi’s final resting place was on the Italian side of the border and that the Austrians had to give him up to an Italian museum. There, a CT scan revealed the cause of death: an arrowhead lodged in Otzi’s left shoulder. Over the years, Zimmerman has seen mummies with arthritis, club foot — King Tut suffered from it — cirrhosis of the liver and plaque in their arteries, ailments similar to what doctors see in autopsies today. It is not hard to find mummies, he said. 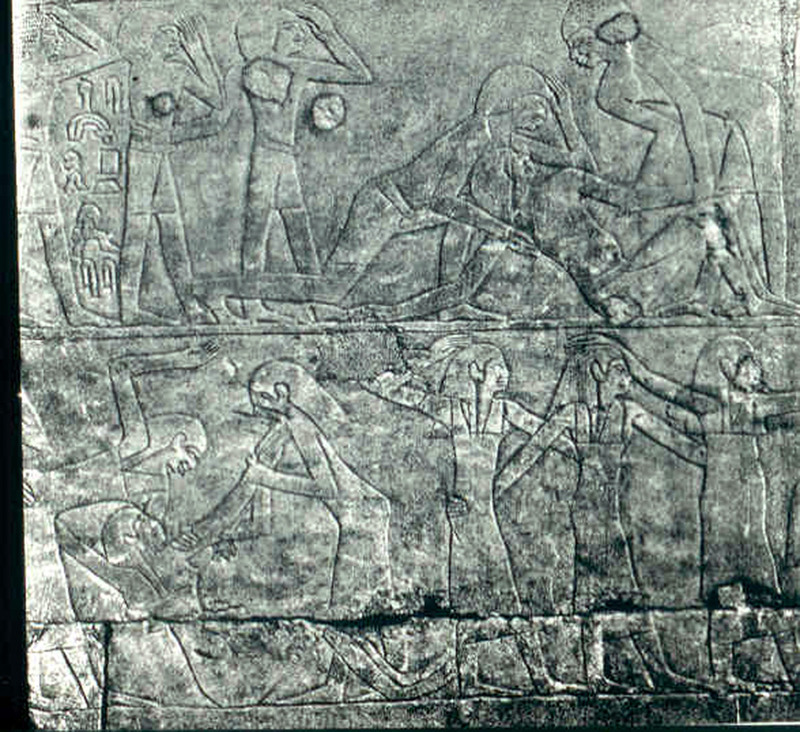 When modern Egyptians built railroads, so many mummies turned up during the digging that workers burned them for warmth. Since that first Smithsonian mummy, he said, he has examined 200 to 300. When he started out, he did a complete autopsy, cutting up the body and removing the organs. Now, he uses less-damaging procedures, imaging them with CT scans and inserting endoscopic instruments through small holes. What amazed him was that among all these mummies, he saw only two cases of cancer, though he says tumors are easy to spot. During a recent talk at Villanova, he showed a slide of a rectal cancer found in a middle-aged Egyptian mummy, explaining how the cells stained a distinct color and showed signs of abnormal cell division. 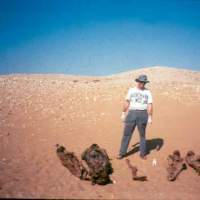 Zimmerman and University of Manchester professor Rosalie David, who founded the university’s renowned Egypt Mummy Project, wrote a 2010 paper for the journal Nature on the lack of mummified cancer and their speculation that cancer might be more tied to modern environments than has been assumed. Zimmerman attributes most of the difference to the modern prevalence of smoking: There is nothing in the historical or archaeological record to suggest that ancient Egyptians smoked. The paper stirred up controversy, with some questioning whether the low cancer rates in ancient people are merely a consequence of shorter life spans — perhaps people simply didn’t live long enough to get cancer. But even taking age into account, Zimmerman said, there is surprisingly little cancer. Besides, he said, he sees osteoarthritis, clogged arteries and other diseases of aging in these mummies. 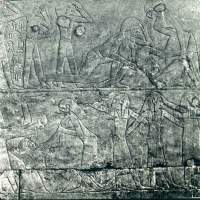 Some of the pharaohs lived past 90. Geneticist Mary Daly of Philadelphia’s Fox Chase Cancer Center said it is also likely that obesity plays a role in making cancer so much more common today than in ancient Egypt. If you took away cigarettes and obesity from today’s population, Daly said, you would see a drastic drop in cancer rates. That is essentially the population researchers are studying in ancient Egypt. 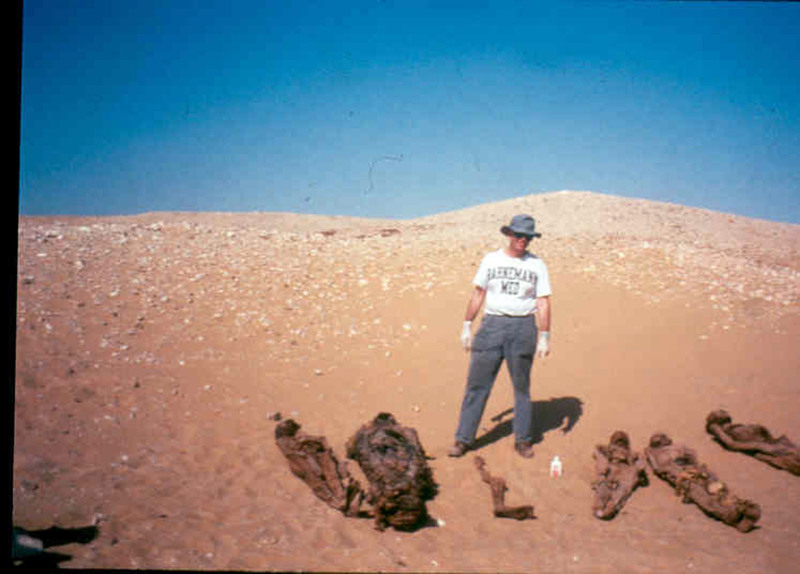 Other researchers share Zimmerman’s interest in diseases of the distant past, though most study bones rather than mummies. Bones have revealed ancient cases of osteoporosis and a striking decline in height and general health in a number of societies after the adoption of agriculture, possibly due to unsanitary conditions and a sudden shift from varied diets to ones based primarily on grain. While the anthropologists who study bones have the advantage of much more numerous samples, Zimmerman’s mummies preserve more information. Both types of studies can provide insights into the causes of diseases, said Ohio State University anthropologist Clark Larsen, head of the Global History of Human Health Project. Zimmerman is concentrating on passing his knowledge down to a next generation of researchers. They have tools he never dreamed of back when he started out, he said: CT scanning has improved to where researchers can see detail unimaginable a decade ago, and in the last few years scientists have developed the ability to extract and sequence DNA from scraps of ancient bones and tissues. There is a more interesting future than ever, he said, for those who choose to study the distant past, and there are more connections to be made to the diseases of modern man.